A matrix is a rectangular array of elements, arranged in rows and columns, that can be used to show the placement of concepts along two axes. For example, you can use a matrix to illustrate the four possible combinations of two concepts or ingredients. By using a SmartArt graphic in Excel, Outlook, PowerPoint, or Word, you can create a matrix and include it in your spreadsheet, email message, presentation, or document. 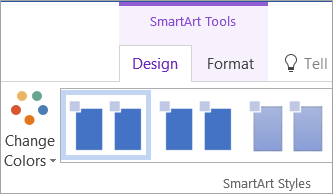 In the Choose a SmartArt Graphic gallery, click Matrix, click a matrix layout (such as Basic Matrix), and then click OK.
Click a box in the SmartArt graphic, and then type your text. To move a box, click the box and then drag it to its new location. Right-click the matrix that you want to change, and then click Change Layout. To show the relationship of components to a whole in quadrants, click Basic Matrix. 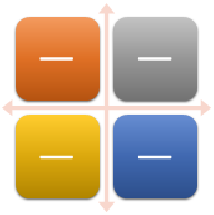 To show the relationship of four quadrants to a whole, click Titled Matrix. The first line of top-level text that you type appears in the center of the matrix, and the first four lines of second-level text appear in the four quadrants. To show the relationship of components to a whole in quadrants, emphasizing the quadrants rather than the whole, click Grid Matrix. 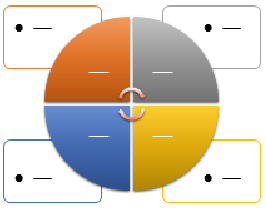 To show the relationship to a central idea in a cyclical progression, click Cycle Matrix. 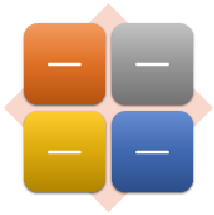 For more details on each type of matrix, see Matrix type SmartArt graphic descriptions. To quickly add a designer-quality look and polish to your SmartArt graphic, you can change the colors or apply a SmartArt Style to your matrix. You can also add effects, such as glows, soft edges, or 3-D effects. In Office 2016 and Office 2013, expand Line, and then choose the color or style that you want. In Office 2010, click Line Color to choose a new color, and click Line style to change the stye. You can also customize your SmartArt graphic by moving boxes, resizing boxes, and adding a fill or effect. To quickly add a designer-quality look and polish to your SmartArt graphic, you can change the colors or apply a SmartArt Style to your matrix. You can also add effects, such as glows, soft edges, or 3-D effects. Using PowerPoint 2007 presentations, you can animate your matrix. 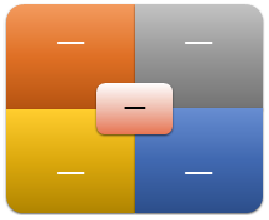 If you're using PowerPoint 2007, you can animate your matrix to emphasize each box. Click the matrix that you want to animate. Note: If you copy a matrix that has an animation applied to it to another slide, the animation is also copied.